The Law Office of John Lawrence Corn P.C. 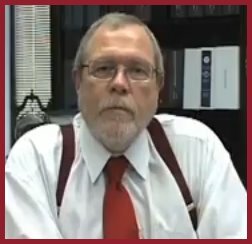 John L. Corn is a Dallas criminal defense attorney with many years of experience handling thousands of cases during a 28-year career defending criminal clients. Mr. Corn has personally handled more than 6,000 criminal cases including 2,000 felony cases, 2,500 DWIs, and thousands of other cases such as family violence, drugs charges, weapons charges, theft, murder, assault and battery, and robbery. Mr. Corn is no stranger to the courtroom having tried over 1,000 cases. Mr. Corn is a trial attorney and the bulk of his trial experience is fighting DWI charges. Mr. Corn has a win rate of approximately 80 percent fighting DWIs in court. Mr. Corn understands that dealing with lawyers can be expensive. That’s why it is a priority of his to provide excellent service to his clients at fair and reasonable rates. Mr. Corn will work very hard to accommodate you, while getting the results you deserve. For example, a Dallas county DWI fee to investigate is $1,000.00. However, he offers a payment plan where you can pay a down payment and then submit payments on a bi-weekly basis. For the fee, Mr. Corn will make court appearances for you and will review the evidence with you to develop a game plan. If you have been accused of a crime in the Dallas area, you will want an experienced advocate on your side. Learn how The Law Office of John L. Corn, P.C. can assist your case by calling 214-528-4529 to schedule a consultation. Dealing with lawyers can be expensive. However, I try very hard to work with my client’s if they need me to. For instance: a Dallas county DWI fee to investigate the DWI is $1,000.00. With a down payment of $100.00 and $100.00 every two weeks. For this I will appear in court for you so you do not have to miss work for at least 4 to 6 months. I will send you a letter asking you to meet me in my office so that we can go over the evidence the state has, i.e. The video tapes, the affidavits of the police officer, probable cause issues and my plan of attack. You will then decide how you wish to proceed in your defense. I will interview your witness’s if you have any then your will be given a laundry list of defenses. The 15 day’s then call 1-800-394-9913 and ask for a hearing, you will be asked to give the county of arrest, police agency of arrest, your name, date of birth, drivers license number, and if you refused or failed the breath test. A blood test has a different procedure in that because the police cannot say you failed it and because the results of the blood test will not be back for some time and when and if it comes back with an above .08 you will receive a letter to the address that you gave them that you have 20 days from the date on the letter to call and ask for a hearing. This call will stop the suspension process so that you can hire an attorney to fight for your license. We are currently winning some 70% or more of our hearing’s, thereby saving our clients drivers’ licenses. I have personally handled more than 6,000 criminal cases. Over 2,000 felony cases, over 2,500 DWI’s and more than 2,000 assorted criminal cases such as family violence, drugs, weapons charges, theft, murder, aggravated assault, aggravated robbery, etc. . In one form of fashion I have tried over 1,000 criminal cases. I am by practice a trial lawyer, Weather by jury trial, trial before the court, or motion to suppress evidence. Almost half of my practice has been dedicated to defending DWI’s. It is the most common charge in almost every county in the United State’s. I have tried in one form of fashion more than 750 DWI’s with an approximate win rate of 80%. I don’t like to lose! If you want me to help you then e-mail or call me.